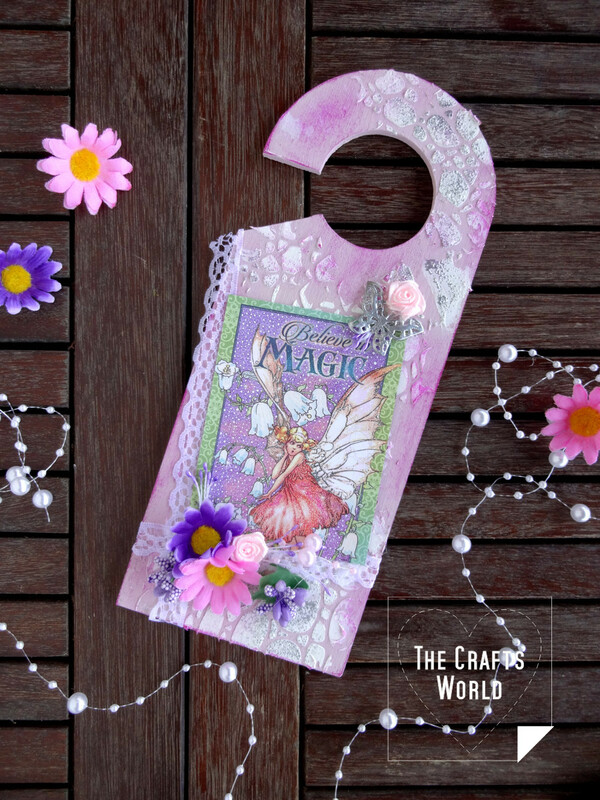 Fairies everywhere; including a door hanger! 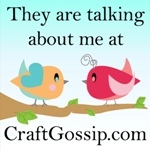 In girly colours, it can decorate a door or placed on wardrobe and drawers knobs. 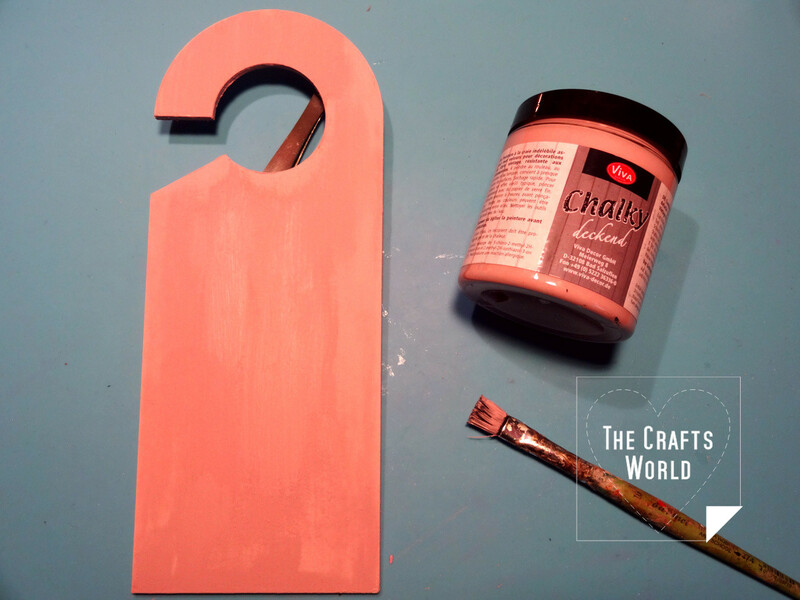 Cover the MDF door hanger with the Viva Decor Chalky paint. 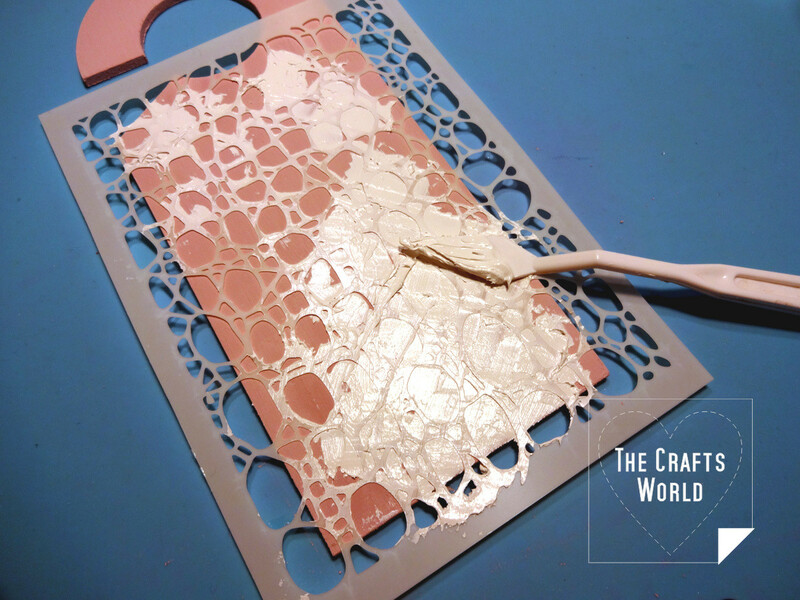 Use the stencil and cover the door hanger partially with the structure paste. 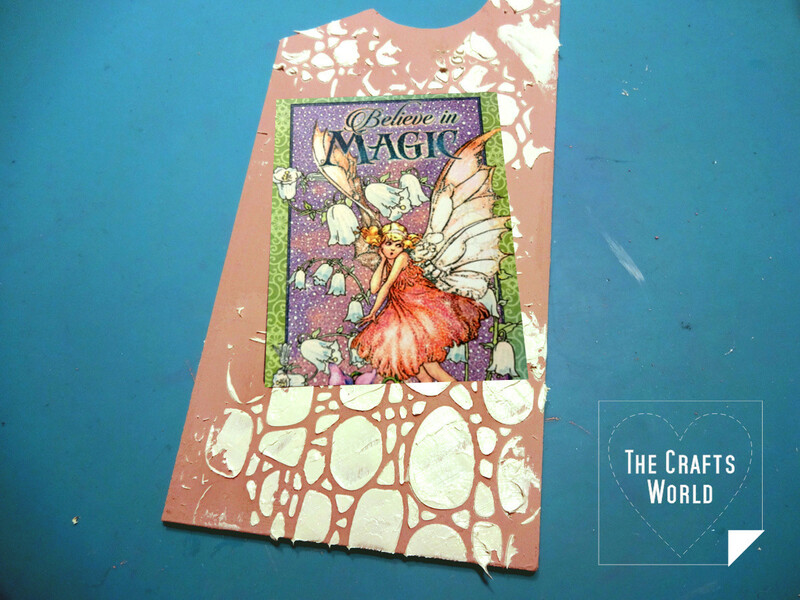 Before the structure paste dries, place the fairy cutting from the paper sheet. 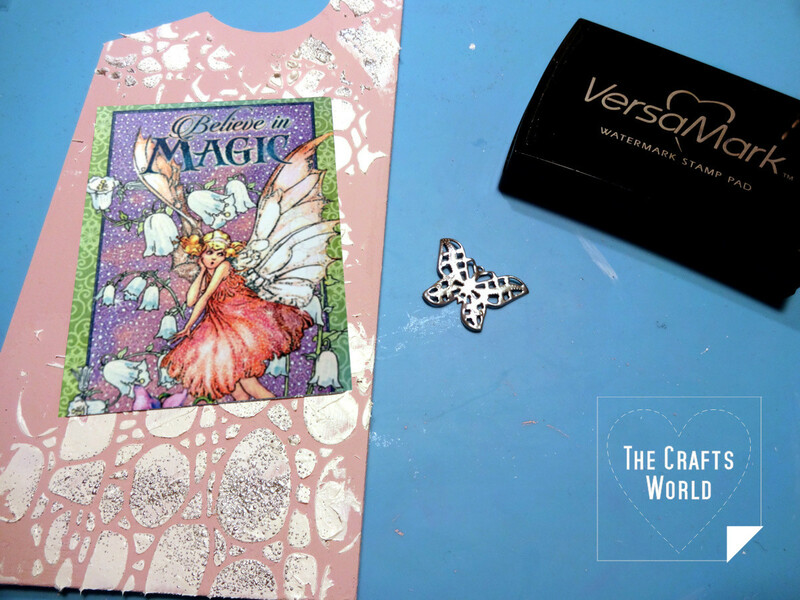 Sprinkle some silver embossing powder and alter the colour of a metal filigree butterfly using Versamark and the powder. Heat set both surfaces. 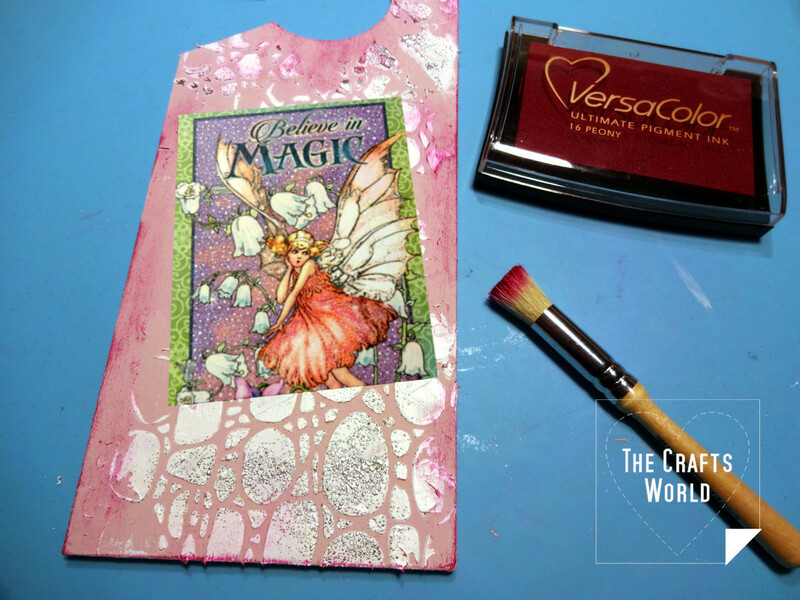 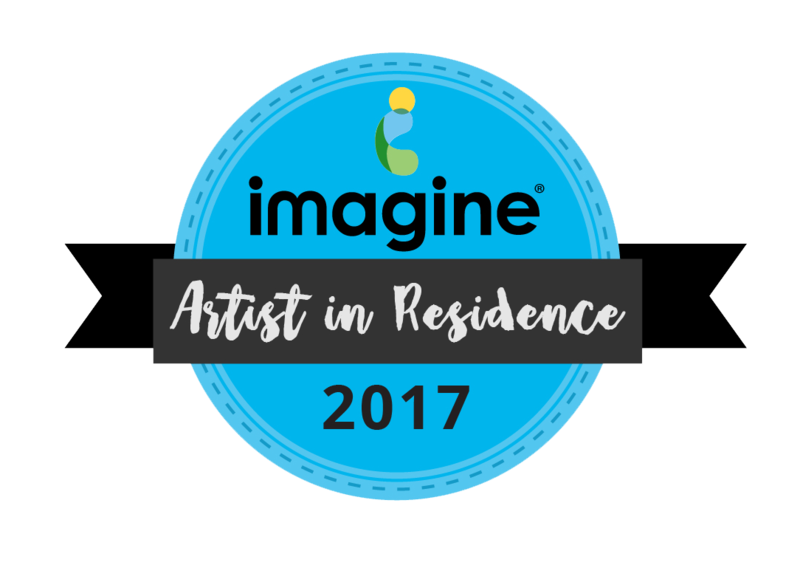 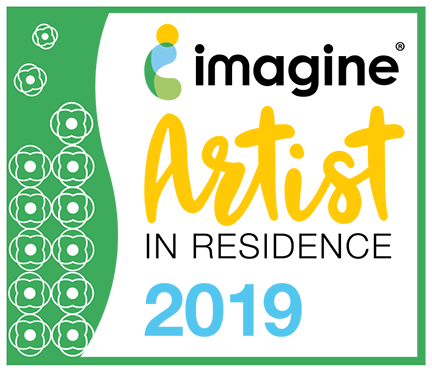 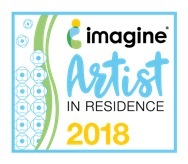 Use the stencil brush and the VersaColor peony inkpad to distress the door hanger avoiding the card. 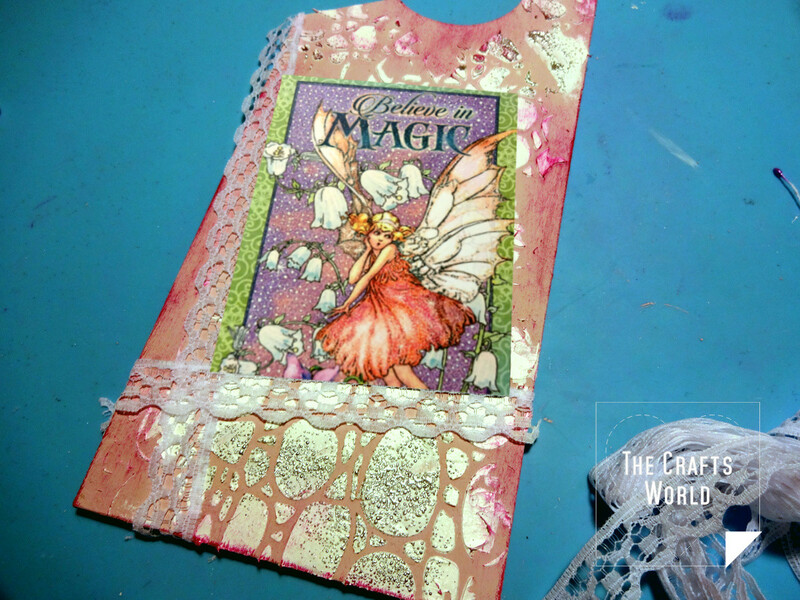 Glue pieces of lace on the two sides of the fairy paper as frames. 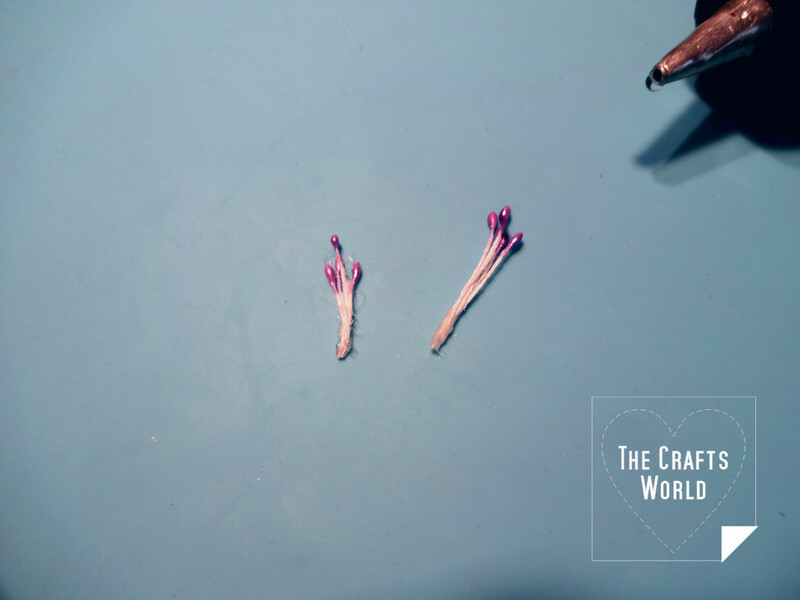 Create small bunches with the stamens by bending about in half and gluing 2-3 pieces together. 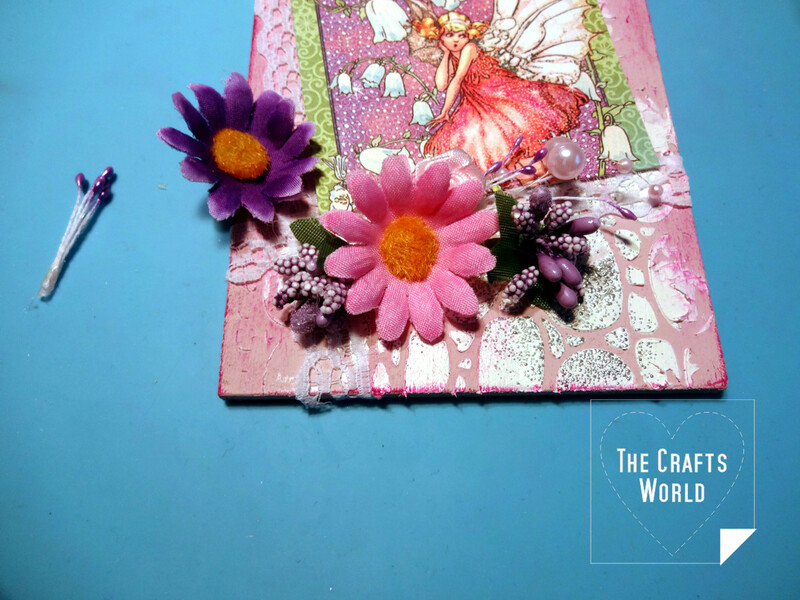 Decorate the hanger with the fabric flowers.